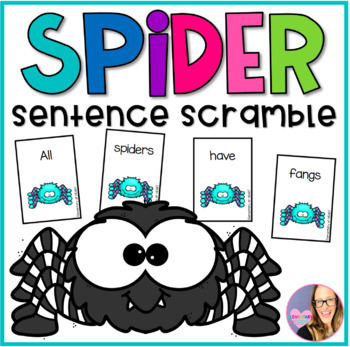 Sentence scrambles — taking a sentence and mixing up the word order — are GREAT activities for (ELL) English Language Learners They’re also good for regular practice to use during center time. 8 spider fact sentences that have to be unscrambled! Your students can learn FACTS about spiders as they put these sentences together. 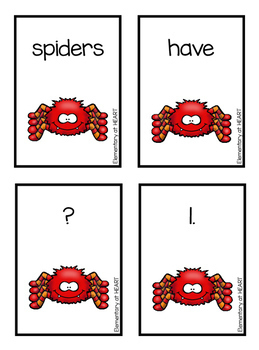 For the Sentence Scramble BUNDLE! Check out MORE Halloween products! • Please go to your My Purchases page. • Click it. Give a quick rating & leave a short comment for the product. • Your feedback will give you credits to use on future TPT purchases. • Look for the green star next to my store logo. • Click it to become a follower.